DNA tests show the person saying he was 14-year-old Timmothy Pitzen is really a 23-year-old man, and he is now in police custody as they weigh whether to charge him. CINCINNATI — A young man’s claim to be an Illinois boy who disappeared under tragic circumstances eight years ago was disproved by DNA tests and pronounced a hoax Thursday, dashing hopes that the baffling case had finally been solved. For a day and a half, a breakthrough seemed to be at hand when a young man found wandering the streets of Newport, Kentucky, on Wednesday identified himself as 14-year-old Timmothy Pitzen. He told police he had just escaped from two men who had held him captive for seven years. 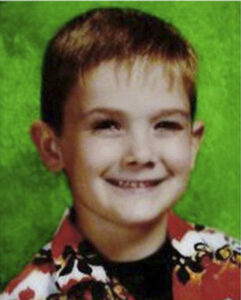 Timmothy disappeared in 2011 at age 6, apparently sent into hiding by his mother just before she took her own life. When the young man told his story, Timmothy’s family was cautiously hopeful, as were neighbors and others who have long wondered whether he is dead or alive. Authorities did not say whether Rini would face charges or what his motive was. “Law enforcement has not and will not forget Timmothy, and we hope to one day reunite him with his family. Unfortunately, that day will not be today,” FBI spokesman Timothy Beam said in a statement. Aurora police Sgt. Bill Rowley said that over the years his department has received thousands of tips about Timmothy, including false sightings. 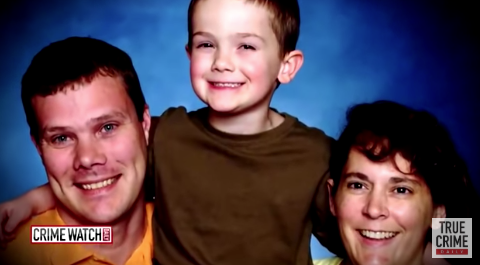 Timmothy, of Aurora, Illinois, vanished after his mother, Amy Fry-Pitzen, pulled him out of kindergarten early one day, took him on a two-day road trip to the zoo and a water park, and then killed herself at a hotel. Police have said Timmothy’s mother might have dropped the boy off with a friend, noting that the boy’s car seat and Spider-Man backpack were gone. Timmothy’s grandmother said her daughter had fought depression for years and was having problems in her marriage to Timmothy’s father. News reports suggested she was afraid she would lose custody of the boy in a divorce because of her mental instability. At Greenman Elementary after the boy’s disappearance, Timmothy’s schoolmates, teachers and parents tied hundreds of yellow ribbons around trees and signs. A garden was planted in his memory. The brief but tantalizing possibility that the case had been solved generated excitement in Timmothy’s former neighborhood. Pedro Melendez, who lives in Timmothy’s former home, didn’t know the boy but saved the concrete slab with his name, handprint and footprint etched in it when he redid the back patio. It is dated ’09. “Perhaps, it has people looking at the case with new eyes,” the police sergeant said.